A member of Indian Dietetic Association, Dr. Keya Mukherjee Mitra is a nutritionist with 6 years of experience as a practicing doctor. In addition to holding an M.Sc. 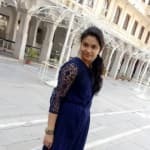 in nutrition and dietetics from Vidyasagar University, she also holds a PG Diploma in Dietetics and Applied Nutrition from Jadavpour University, and Post Graduate Certificate in Diabetes Education from Project Hope. As an experienced dietician and nutrition, Dr. Keya Mukherjee Mitra helps patients with weight loss treatment, customized diet plans, allergy test, aromatherapy, and child nutrition. One of Dr. Mitra’s specialities is diabetic diet counselling. Diabetes is a chronic condition that needs careful management. Dr. Mitra helps people with diabetes Type 1 and 2 make correct food choices so they can live a healthy, functional life. She is currently associated with Keya’s Diet Map Clinic in Jamnagar, Gujarat. As a nutritionist, she believes in attending seminars and workshops on diet and nutrition to stay current on the latest treatment plans being devised globally for diabetes management and weight loss. Dr. Mitra also helps patients with immunity therapy for those who have low immunity. For weight loss concerns, or if you are a diabetic, you can book an appointment with Dr. Mitra for consultation online. I thought it was something very normal, but then I realised the body weakness is something else. I visited to Keya's Diet Map. It is very nicely designed. It's been so long, I have lost all hope, but then I met Dr Keya Mukherjee Mitra and I am hopeful again that I will be fine. the body weakness treatment has helped me greatly and now I am perfectly fine. she ensures that she gives enough time to each patient. the best thing about Keya Mukherjee Mitra is that she prescribes limited no. of medicines. From quite some time i was suffering from problem in weight gain, but never gave much importance to it. The symptoms were severe and unmanageable, and i took a treatment for problem of gain weight. but my Keya Mukherjee Mitra was able to handle it. The overall atmosphere in the Keya's Diet Map is very soothing. She is soft spoken, confident, helpful with co-operative nature. She always wants to help poor and nutritionist children. Dt. Keya Mukherjee Mitra provides answers that are knowledgeable. Well SUGGESTIONS! She was quite knowledable and helpful in discussing the issues and resolution. It was helpful and quite illuminating regarding the issues. Chicken V/S. Egg- Which has more protein? Protein comes in ample amount from foods such as meat, eggs, legumes, dairy products, soy, and fish. It serves as the building blocks for the body's cells, muscles, skin, tissue, and organs. Although, both chicken and egg are infused with high amounts of protein, they do vary on the grounds of the actual protein content per serving. So which is a better source of protein? Both chicken and eggs are a low calorie and high protein option. However, chicken contains double the amount of protein than eggs per serving, emerging as a clear winner. Not only that, chicken also contains less cholesterol in comparison to eggs, making it a much healthier food choice. Nevertheless, eggs possess a number of other health benefits, and should not be ruled out of your daily diet. Even though both chicken and eggs are almost equally healthy, the key to proper health is to eat all you want but in a moderate manner. If you wish to discuss about any specific problem, you can consult a dietitian-nutritionist. Cheese - How is it Beneficial? The process of cheese making is an age old practice dating back to ancient times and is practiced all over the world. As a dairy product, produced in a manner akin to that of yogurt production, cheese can be made in numerous ways, depending on how the curdling milk coagulates and on the nature of decomposition of the solid particles like proteins and fats, and the liquid particles. Further, through the application of acids, such as vinegar or lemon juice, the final product can be altered and determined according to its consistency, flavor and appearance. Usually, acids are used for catalytic purposes in the production of soft cheeses like Cottage cheese, Camembert, Brie, Ricotta cheese and sour cream, which do not normally require much time to age. In contrast, semi-hard and hard cheeses are made with rennet and ripened with bacteria or mold. These include Parmesan, Blue, Swiss, Roquefort, Cheddar, Colby and Asiago cheeses and are more often known as grating cheeses. Cheese has always been considered an ideal source of nutrients for bone health, especially because of the presence of B-complex vitamins along with high protein and calcium content. With the right amount of cheese, a number of bone problems associated with ageing like Osteoporosis, for instance, can be prevented. Moreover, cheese also protects your teeth from acid erosion, caused by tea, coffee, soda or wine, as they help in raising the natural pH levels in the mouth. Cheese consumption also helps in protecting your heart from threats of cardiovascular and coronary heart diseases. Cheese contains a fat-burning conjugated linoleic acid, which helps reduce the size of fat cells and is effective in burning fats to muscles. In addition, with the presence of a fairly high level of calories, cheese helps the athlete in gaining mass, thereby making it immensely favorable for athletes. Many people nowadays with a craze of health and fitness scroll their eyes on different ideas to eat healthy. Some take professional help, some opt for for Dr. Google, some believe on their own knowledge and idea and end up feeling that 'eating healthy is not easy' end up choosing any possible shortcut to be healthy and fit. Now we need to think is it really so hard to eat healthy? Well the answer is 'Yes'. We need to cross a lot of hurdles to practice a healthy eating habit. Do read this article to know the hard truths about eating healthy. 1. You need a good market: By 'market' I mean a place from where you can buy fresh, seasonal, affordable, whole foods. And, if you are in a small town or on a budget, then forgot about fancy foods like broccoli, red cabbage, lettuce, salmon, tuna, multigrain bread and so on etc. When you can't get all this latest stuffs it comes in your mind that you can't get health with local foods at all, as you are seeing guacamole recipe for your salad or multigrain sandwich. In this frustration you will chose to have pizza, or a street side roll, full cheese sandwich, which might be similar to all the fancy meals read or suggested to you to be healthy. And the results are problems, such as overweight or underweight or other health disorders. It is just the first reason why eating healthy is hard and even if you cross this hurdle, there are others. 2. You need time for shop: In this 21st century our lives are in superfast mode. Some of us work for 60 hours a week and come back home with all the tiredness, irritability and basically with the need to sleep and rest. At that moment healthy food shopping in budget is nowhere in life. As a lot of us stay alone or both the partners working along with a child for homework or different classes. A lot more examples are there. So time is a big hurdle too. 3. You need time and energy to cook: Now if you can are able to buy fresh foods in your budget, you need to have time to cook all this for you or for your family. That again needs time and energy from you. Now how you cross this hurdle? 4. You need cooking equipments and more than anything else you need cooking skill: It is tough to cut veggies on a plate with butter knife or eat a curry with no salt n spice or make idli without idli mold. And, in that situation you decide to leave healthy eating and opt for a pizza or dine out, all these hurdles after 50 to 60 hours of weekly work will get on your nerves. Let me tell you, your feeling is absolutely normal. 1. Respect your struggle: Be realistic and learn from your failure. Almost each of us knows fruits and vegetables are good, sugary foods are bad, even you know about portion control. But whatever suggestions you have received is not at all easy to maintain, you need to admit that. You need to know, practice makes you perfect and you can fail in between. Not to worry, start again. Find new strategies to work on eating healthy challenge. 3. Make a schedule for shopping and cooking: Make a smart grocery shopping list (with minimum preservatives) with pre planned meal for a whole week. Choose locally grown foods if you are in a small town or order online if your area is covered for delivery by grocery stores. You can consult a qualified dietician for a healthy menu and recipes also. Nowadays it is very easy as online clinics are there. In this way you can avoid scrambling your plan to eat healthy and save money by minimum food wastage. 4. Reduce your stress: Eating healthy will help in relaxing you and you can properly utilize your resources of money, time, energy and skill. If you are in stress you can't use any of it. So, go for walk; relax with music or book, go for vacation with your family and friends to manage your stress. 5. Simplify your cooking: You must not elaborate your meals all the time. Think smartly and make one pot meal with maximum nutrition. 6. Ask for help or help each other: It's ok if you ask for help to eat healthy. So help your partner or mom in cooking or shopping or ask for help from a professional. As in India it's quite easy to get a cook at your place. You can hire a cook for yourself or to save money jointly with some friends. 7. Learn new strategies of healthy eating: Healthy cooking needs more effort than you think. So before you leave healthy eating, stop and re-examine. Search Dr. Google or learn from your mom or family or society for new recipes and customize recipes for healthy eating or for relaxation join cooking class. 8. Eat out once a week and eat smartly: Fond of eating out? No problem. Choose a day in a week and eat outside food in one meal. But choose less oily, less fried, less preservative, maximum nutrition options. Like you can opt for thin crust whole wheat pizza with or sub wrap or sandwich with all veggies, baked or grilled filling with no extra cheese, Idli with sambar, yellow dal with whole wheat tandoori roti (no butter), grilled or baked or steamed options according to your choice. Learn about your healthy meal. After reading all possible solutions I am sure you will start eating healthy, learn and help others to eat healthy. Many people now-a-days with craze of health n fitness scrolls their eyes on different ideas to eat healthy. Some takes professional help, some goes for Dr. Google, some believe on own knowledge n idea- n end up with the heard feeling that eating healthy is not easy lets chose any shortcut to be healthy n fit'. Now we need to think is it really so hard eating healthy? well the answer is yes'. We need to cross a lot of hurdles to practice a healthy eating habit. Do read this article to know hard truths about eating healthy. By market' I mean where you can buy fresh, seasonal, affordable, whole foods. And if you are in small town or on budget then forgot about fancy foods like broccoli, red cabbage, lettuce, salmon, tuna, multigrain bread n so on etc. When you can't get all this latest stuffs it comes in your mind that you can't get health with local foods at all, as you are seeing guacamole recipe for your salad or multigrain sandwich. On this frustration you will chose to have pizza, or street side roll, full cheese sandwich which are might be similar to all the fancy meals read or suggested to you to be healthy. And the results are overweight or underweight or other health disorder. It's just 1st reason why eating healthy is hard. Even if you cross this hurdle. In this 21st century your life is superfast. Some work for 60 hours a week n come back home with all the tiredness, irritability n basically with the need to sleep n rest. At that moment healthy food shopping in budget is nowhere in life. As a lot of us stay alone or both the partner with job n in addition need to be busy with child for homework or different classes. A lot more examples are there. So time is a big hurdle too. Now if you can be able to buy your fresh foods in your budget- you need to give time to cook all this for you or for your family. That needs time n energy from you. Now how you cross this? It's tough to cut veggies on a plate with butter knife, or eat a curry with no salt n spice, or make idli without idli mold. And in that situation you decide to leave healthy eating n opt for a pizza or dine out, as all these hurdles after 50-60 hours of weekly work getting on your nerves. Let me tell you, your feeling is absolutely normal you can fail some time to maintain healthy eating. 1. Respect your struggle: be realistic and learn from your failure. Almost each of us knows fruits n vegetables are good, sugary foods are bad, even you know about portion control. But whatever suggestions you received is not at all easy to maintain, you need to admit that. You need to know practice makes you perfect and you can fail in between. Not to worry start again. Find new strategies to work on eating healthy challenge. 3. Make a schedule for shopping and cooking: make a smart grocery shopping list (with minimum preservative) with pre planed meal for a whole week. Choose locally grown foods if you are in small town or order online if your area delivery is covered by different online grocery stores. You can consult a qualified dietician for healthy menu and recipes also. Now-a-days it's very easy as online clinics are there. In this way you can avoid scrambling your plan to eating healthy and save money by minimum food wastage. 4. Reduce your stress: eating healthy n well need resources of money, time, energy and skill. If you are in stress you can't use any of it. So, go for walk; relax with music or book, chill with family and friends to manage your stress. 6. Ask for help or help other: it's ok if you ask for help to eat healthy. So help your partner or mom in cooking or shopping or ask for help from professional. As in india it's quite easy to get a cook at your place. You can hire a cook for yourself or to save money jointly with some friends. 7. Learn new strategies of healthy eating: healthy cooking needs more effort than you think. So before leaving healthy eating stop and re-examine. Search Dr. Google or learn from your mom or family or society for new recipes and customize recipes for healthy eating. Or for relaxation join cooking class. 8. Eat out once a week and eat smartly: fond of eating out? no problem. Choose a day in a week and eat outside food in one meal. It's ok. But choose less oily, less fried, less preservative, maximum nutrition options. Like you can opt for thin crust whole wheat pizza with or sabwrap or sandwich with all veggie n baked or grilled filling with no extra cheese, idli with samber, yellow dal with whole wheat tandoori roti (no butter), grilled or baked or steamed options according to your choice. Learn about your healthy meal. Drink 3-4 lts of water daily. Avoid sweets, juices, fried foods and junk foods during your weight loss program. Take small and frequent meals as per dietician suggestion, on appropriate timings of the day, to get effective results. Include 2-3 servings of fresh fruits and vegetables in your daily diets. My age is 49 and I got leg ankle pain. My body weight is 78 kg. Suggest solution for this. Hello! according to your height you are overweight. So might be for excess weight you have ankle pain. To control your weight take small n frequent healthy meal (5-6 meal a day). Stay away from preserved food, ready to eat foods, deep fried food, sugar n sweet items n do exercise for at least 30 min a day. You need to take care of is good quality protein. Try to take milk n products, egg whites, fish, lean chicken, dal n products etc. With complex carbohydrate n good quality fat (almond, walnut, peanut, flex seed, chia seed etc.) stay away from preserved food, ready to eat foods, deep fried food, excess sugar n sweet items. I am 38 years old, Just a start of diabetes can I eat the yellow portion of the boiled egg as it is mentioned that boiled eggs are very healthy for health & how many eggs can I eat at a day? Hello! you can take whole egg but you need to know the quantity n for that you must consult a dietician. As its important to analyse all your parameters.